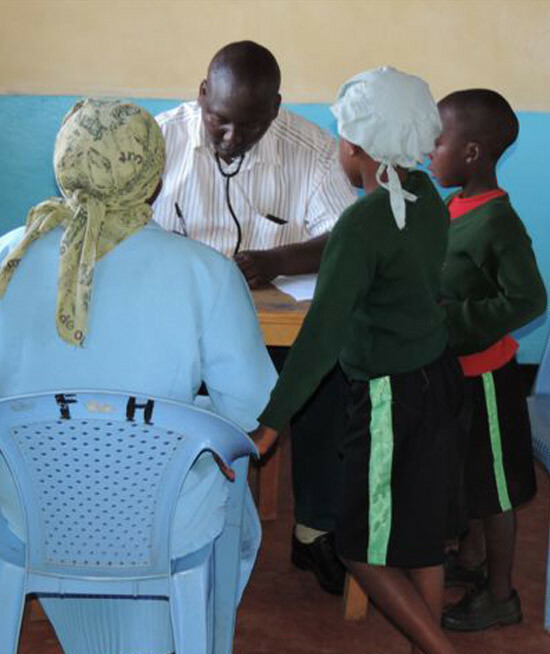 There are currently over one million children in Kenya orphaned by the AIDS epidemic. that was the daily lot of so many of these orphans in Elburgon, Kenya. boys were often left to starve or become prey for wild animals. 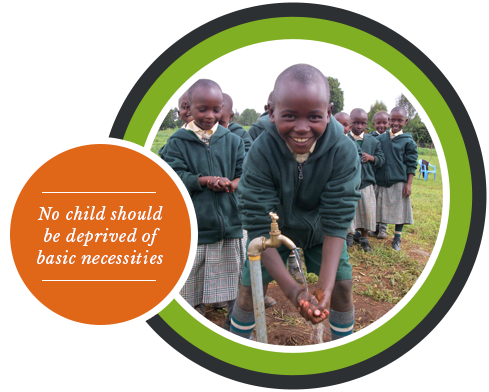 children by providing food, clothing, shelter, education, and nurturance. We envision a world where no child is deprived of the basic necessities required for a stable, happy, productive, and rewarding life. 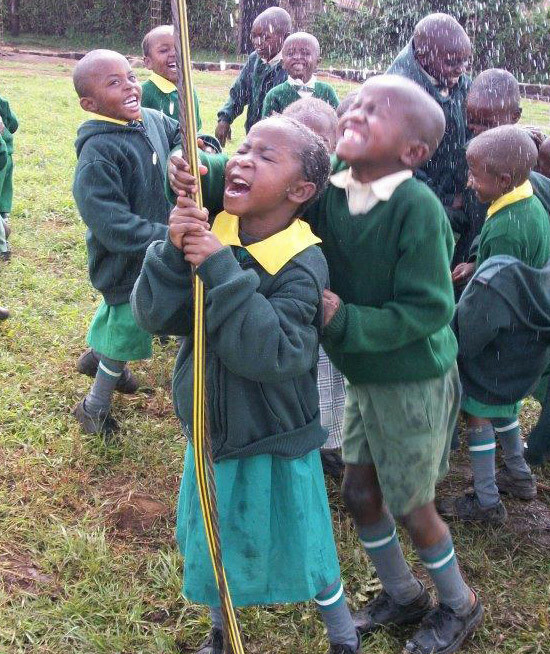 Our mission is to provide food, clothing, shelter, education, and nurturance for the orphaned children of Elburgon, Kenya. We believe that every life has value and we are urging everyone to help to save these children. 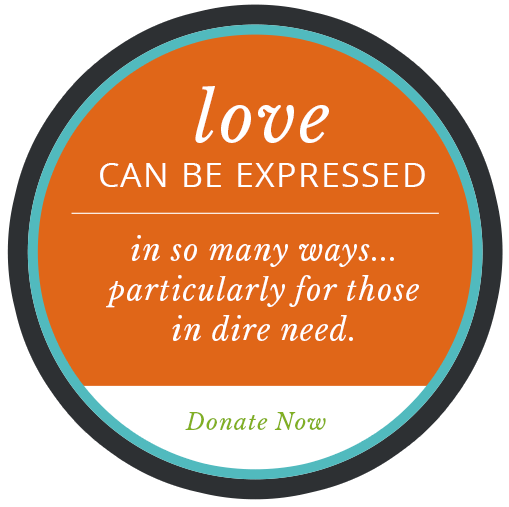 Love can be expressed in so many ways, particularly for those in dire need. 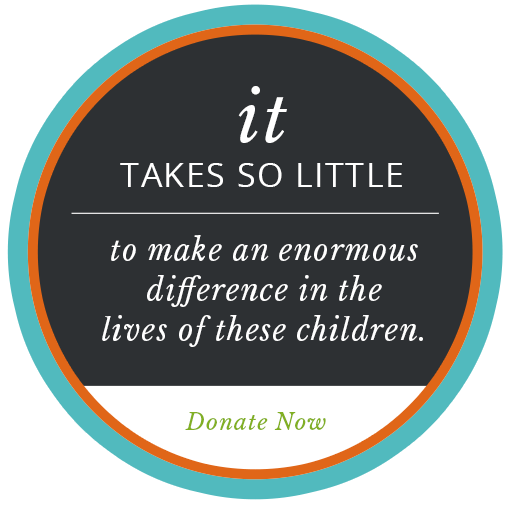 No amount is too small, as it takes so little to make an enormous difference in the lives of these children. Unlike many similar charities, over 90% of the donations to Angels Forgotten are used directly for the care of these wonderful children. 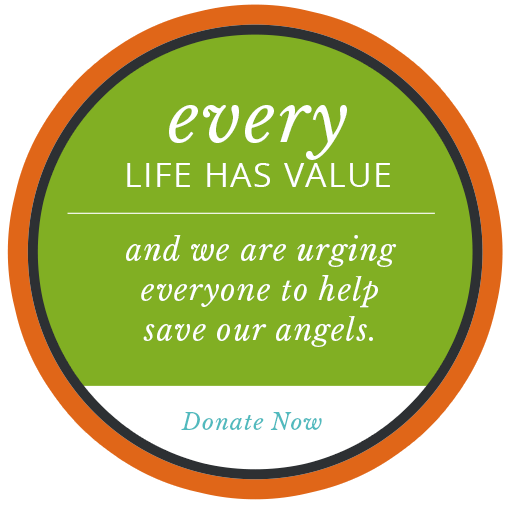 HELP MAKE A DIFFERENCE BY SUPPORTING OUR ANGELS. 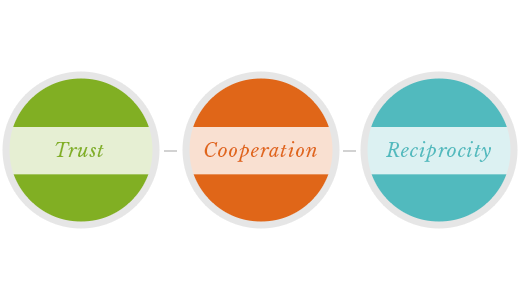 We believe that the challenges we face as a society are best addressed by utilizing holistic problem solving. Though there are many problems and many people in our area in need, we believe that each also has something to offer as part of a solution. We strive to meet our own needs by helping to meet the needs of others. The locals have embraced our school because they have experienced the benefits that can derive from trust, cooperation, and reciprocity. In the process of constructing and running our school, improving local roads, and growing our crops, we have become the largest employer in the local area. Our long-term goals are to become a financially self-sustaining organization and to help even more children. 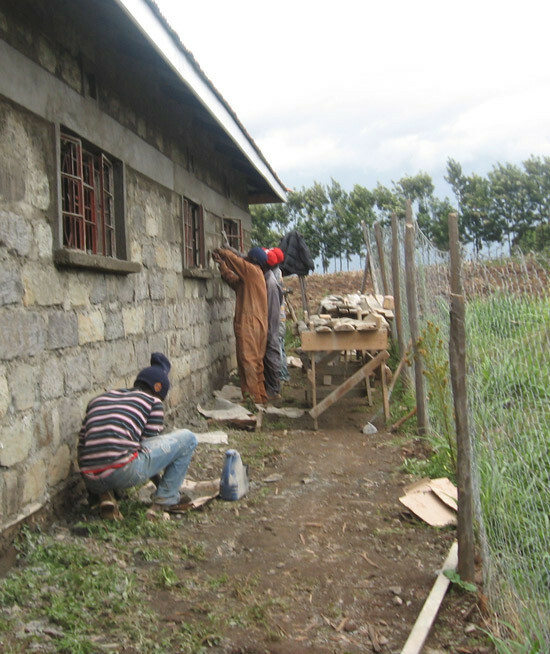 We are located in a small village comprising the town of Elburgon which is located in Western Kenya. This area used to have a thriving timber industry, but due to massive deforestation the industry has dwindled. Our water well was donated to the school. Water is pumped using a submerged electric pump. It’s used for cooking, growing crops, and other school purposes and is also shared with the community at no cost. We started our school in 2009 and moved to our new building in 2012. It consists of six classrooms with a capacity of 30 students per class. The school teaches traditional courses as well as sign language. Our children are provided two daily meals which they eat in the newly built dining hall. They are also provided with clothing and shelter. They have complete physical exams once a year. Our children live with and are cared for by guardians in the surrounding villages rather than being segregated from the community by living in a traditional orphanage. All services provided to their children are free. 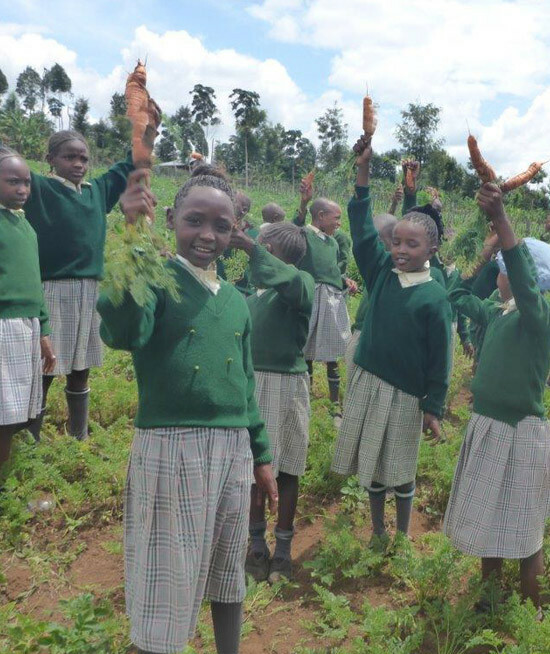 Our small farm produces corn, cabbage, beans, and leafy greens for consumption by our children, as well as fodder for livestock. We have built a chicken coup and added 100 chickens which lay eggs for the children to eat.